The Real Estate Agency of India passed the Real Estate Regulatory and Authority (RERA) Act in March 2016. This act has been made in accordance to increasing complaints against the builders or promoters and the real estate agents. These complaints are mainly regarding the late possession of a house to the buyer, faults in the society, irresponsible behaviour of promoters after the signing of the agreement and many such issues. RERA is a government body whose sole purpose is to safeguard the interest of buyers as well as lay a path so that the promoters and the real estate agents get a chance to come up with good services. The present structure of real sector is quite messy as corruption in the government bodies and opaqueness of the information is there. The policies in RERA have been made keeping in mind that due to the lack of activeness in the government work such as approval of a project, many promoters have to seek an unfair way to continue their work so that their massive investment in a project does not get lost. Also, the Real Estate Agency is establishing Central Agency Council and Real Estate Appellate Tribunal with RERA so as to bring in a level of confidence in buyers for the builders and the agents and also to punish the defaulters. The thing is, there are several government rules and regulations which, if made aware properly to the general public, then many things will get proper transparency and discipline. RERA Consultants is one such advisory body whose purpose is to guide the people related to real estate in an organised manner. Even though the guidelines laid by RERA for promoters and real estate agents are very basic and affective, the general public needs a platform where they can be made aware of their particular rights. RERA Consultants is that platform which has done thorough research on the official rule book of RERA released by the government. The promoters, buyers and the agents can come up here for a jovial coordination among themselves. We offer consulting services to the promoters and the agents to get registered under RERA. Apart from that, our public forums and interactions will also prove beneficial for everybody. Real estate is a very important sector for a country’s growth and the current status is really bad with every day hundreds of complaints being lodged against different bodies of real estate. It is of great importance that a buyer starts to trust an agent and a builder so that a proper passage of business can take place. We have carefully drafted all the rules as written in RERA so that people can easily know about them and can understand how much effort the government is making so that transparency can be maintained and buyers don’t have to feel cheated with their hard earned money again. Therefore, if you are a buyer or an agent or a promoter, feel free to contact us anytime so that we can do proper discussions on how to go about it and together give our support for a greater good. Is RERA having an overriding effect on state laws? Are the provisions under RERA 2016 Act sufficient for ongoing projects? Following Are the Information Which the Promoters/Builders Have To Provide During Their Registration Process in RERA. The government of India has finally decided that a time has come where the real estate property seekers in India should be saved from the exploitation by the promoters. The promoters, commonly known as builders, are doing more harm than good to the real estate sector in India. The blogs of RERA Consultants seek to provide information to Buyers, Promoters & Real Estate agents on news and updates on RERA & also about the important laws in RERA which makes it special in bringing transparency, governance & organisation in real estate of India. RERA (Real Estate Regulatory and Authority) Consultants is a consultancy which is aimed to provide help to the buyers, promoters and real estate agents regarding the new Real Estate Regulatory and Authority, commonly known as RERA. The guidelines given in RERA are of prime importance for everyone related to real estate business as these guidelines will make sure that there is a complete transparency and discipline in the sale or purchase of a property. In the last few years, the formation of a government body such as RERA has been growing in demand to curb the problems that are faced by the home seekers due to some faulty promoters and real estate agents. The government has at last obliged to this demand by passing RERA act under Real Estate Regulatory Agency Bill in March 2016. This act will cover the entire state till next year. RERA will help to establish a healthy relation among buyers, promoters and the real estate agents so that a fair passage of business can take place which is very important for the development of the country. RERA Consultants understand the need of the synchronisation of buyers, promoters and the real estate agents so that none of the parties have to suffer to the defaults of others and thus, the important of RERA is immense. All the developed countries of the world have bodies such as RERA in their respective states so that a buyer gets a clear picture of what he is getting into. The laws under RERA are made so as to make business in real estate easy, free-flowing and hassle free. Also, the government wants to bring the confidence of the buyer back to in the real estate. Our consultancy is a common ground for everyone be it; buyer, promoter or real estate agent. We are providing a platform where we will help the promoters’ projects and the real estate agents to register with RERA as registration has been made compulsory. 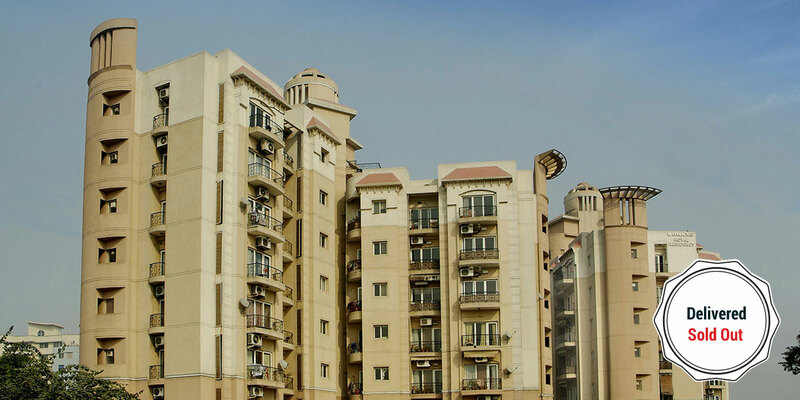 RERA Consultants sets legislation to regulate the relationship between all contracting parties and organize the exchange process of properties. 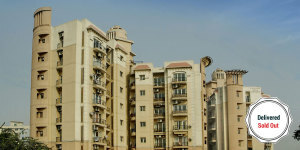 We provide many services to clients in India extending to RERA such as offering help in role planning, organizing and evaluating operations related to real estate, organizing and developing real estate activities as well as commitment to monitor real estate projects legally and technically, in order to protect promoters and investors rights. Becoming a RERA Consultant is a big responsibility as we need to guide the people properly to become RERA complaint. For this, we have a whole-hearted dedicated team which works day in and day out to gather and interpret maximum information which can be useful to the people. Everything we practice and provide comes in the line of rules and regulations set by RERA. RERA Consultants is a much-needed juncture for the people related to selling, developing and promoting a real estate project with the government. Developers and promoters can use the website of RERA so as to get an exact idea of its working and transparency. For buyers, we will constantly be updating the list of promoter’s projects which have been registered under RERA and which have got rejected. Many times, a buyer does not know his own right and we will do our best to let the buyer’s right under RERA reach the common man. People can also participate to discuss various aspects in our public forum. Therefore, all in all, we are providing a service for the betterment of the society and its functioning regarding real estate.